I reached Busan from Jeju at 12:30noon. 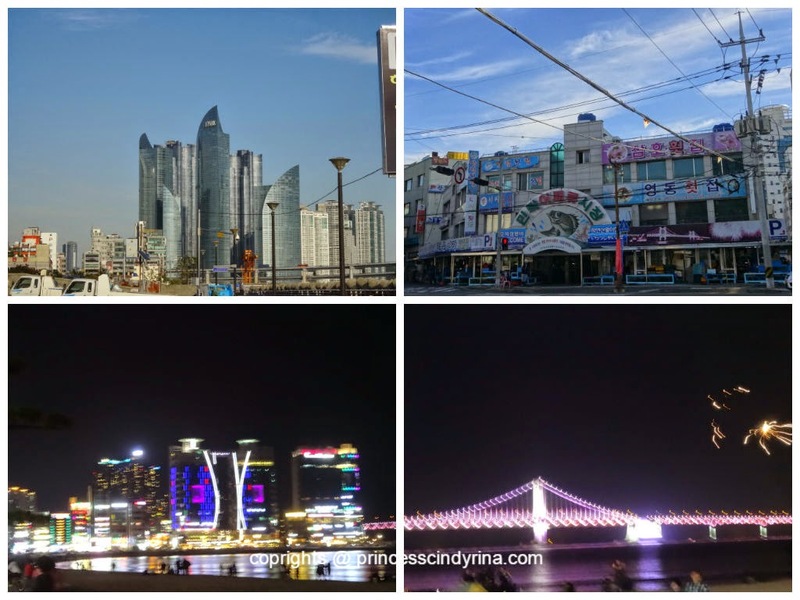 I took the Subway all the way to Gwangalli. Oh my quite far from Airport. I reached there around 1:45pm. I met the owner of the studio at the Subway station and she took me to her place which is just a 5 minutes walking distance from the station. This time I don't stay at hotel. I rented a studio for the sake of experience the local lifestyle. Living in studio with kitchen and bed at one place and the need to key in password to the door knob to enter the place. This is how the Studio look like. Quite comfy right? 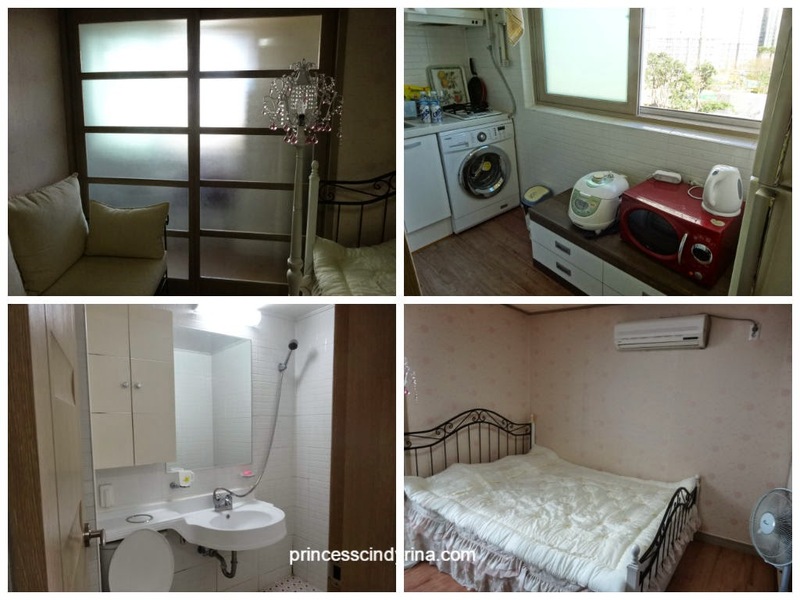 The white Sofa, lacy soft bed which complete with heater mattress, she even provided kitchen and washing machine.The owner was very kind to even provide me with 5 packs of ramyun. 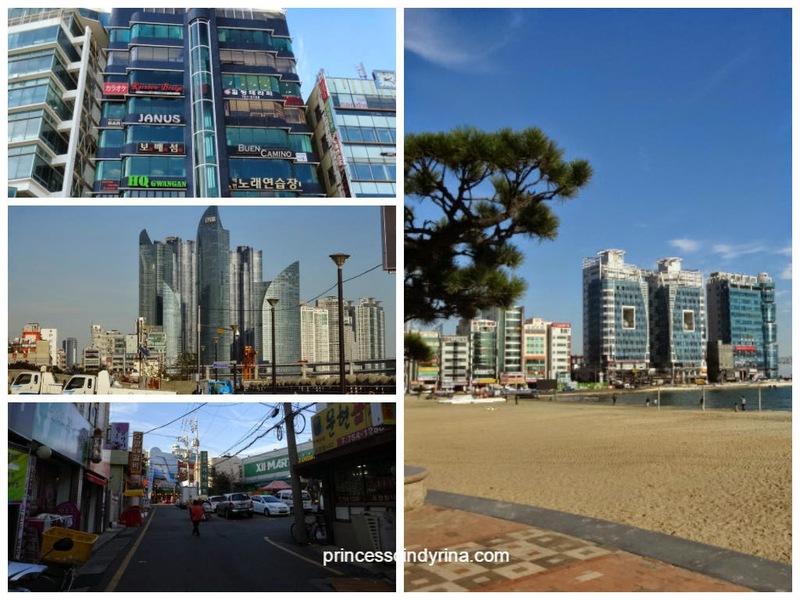 After check in , IMA head to Gwangalli Beach which is only 5 minutes walk from the studio. How convenient......Ah! so happy! This is my lunch at Tom Toms Coffee-Sweet Potato Twist Pretzel. Love it because they prepare it fresh and hot when ordered! 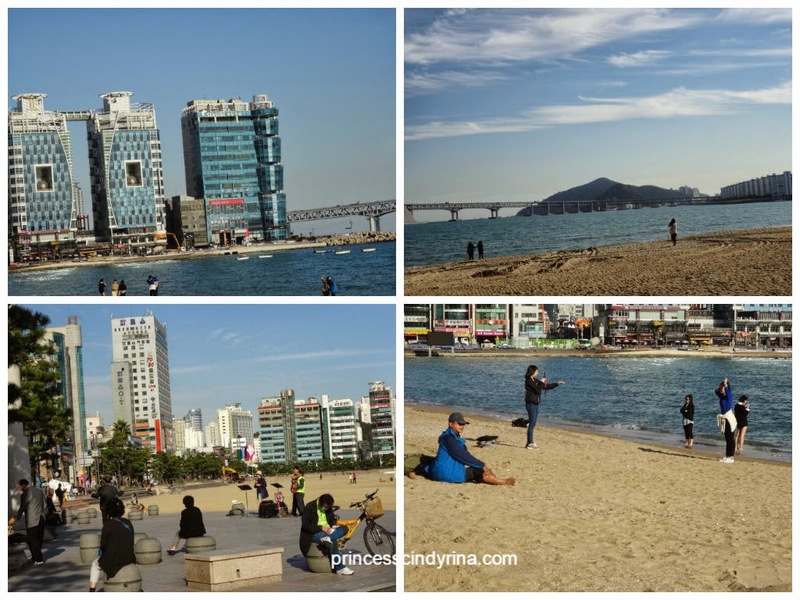 There you go...this is how the Gwangalli Beach look like. Its about 1.4 km long and 64m wide and very famous with fine sand. I like the sand at Udo Island better because it white like snow. This area apparently has undergone a water cleaning program and because of this the water of the beach is pristine. The clean water attract many fishermen, which result to...this place famous with fresh seafood. 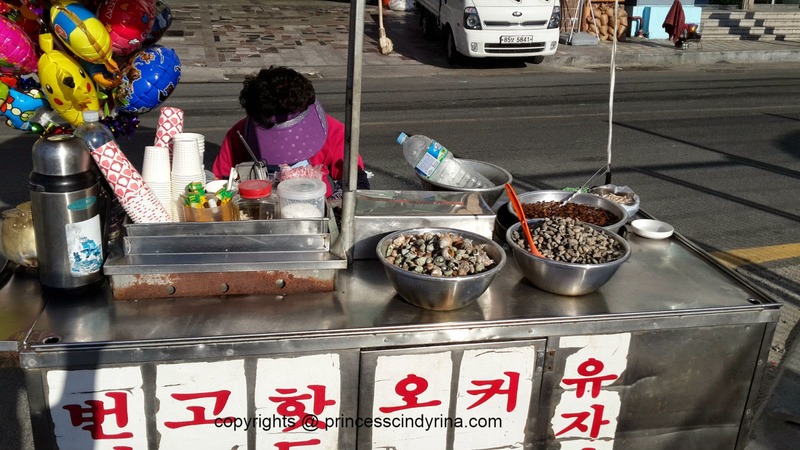 Many Ajumma selling this seashell snacks. They will keep calling people to try and said its delicious. huhuhuh..IMA didn't try...afraid of stomachache. If you are into the watersports, there is Olympic Yacht rental place which you can rent the yachts. You can enjoy water skiing, jet skiing, wind surfing and others exciting water sports. There is also an outer outer concert stage where Busan Ocean Festival and other events are held. Nearby has cultural museum, theatres and also famous brand name shops.It more happening at night with all the lights on. 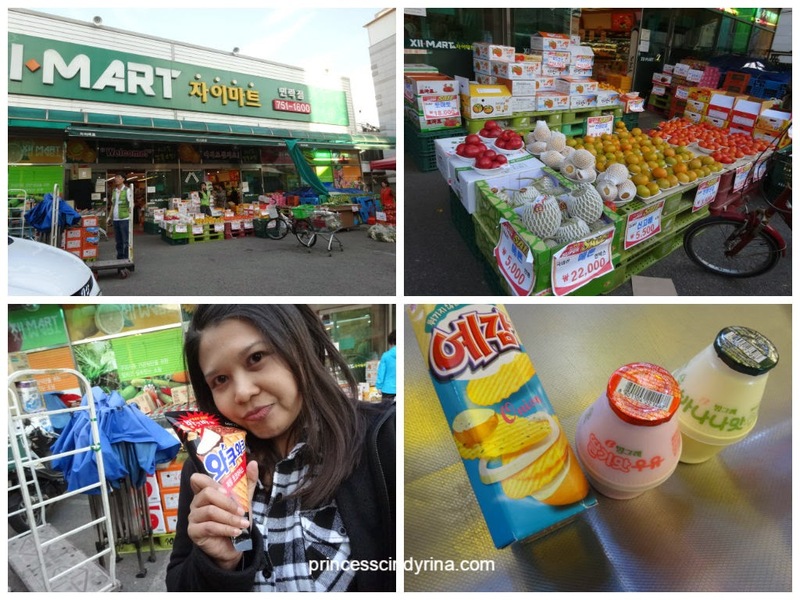 IMA walked towards back alley and found this Mini Mart and yeahhhhh...I am going to restock the fridge at the studio and tonight going to cook fresh seafood Udon. Love to walk into the groceries store. 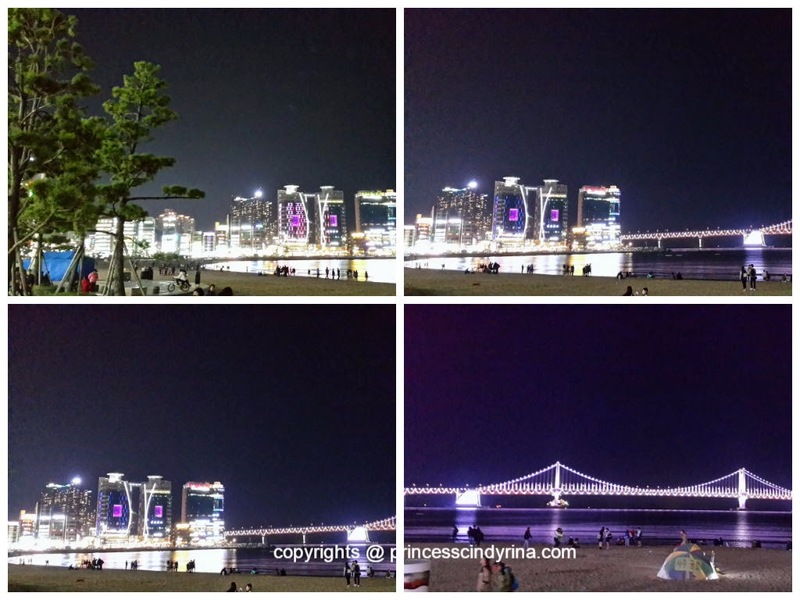 Walk until night time just to see the beautiful light up Gwangan Bridge. Back at the Studio and cook prawn, clams, pine mushroom udon noodles for dinner. 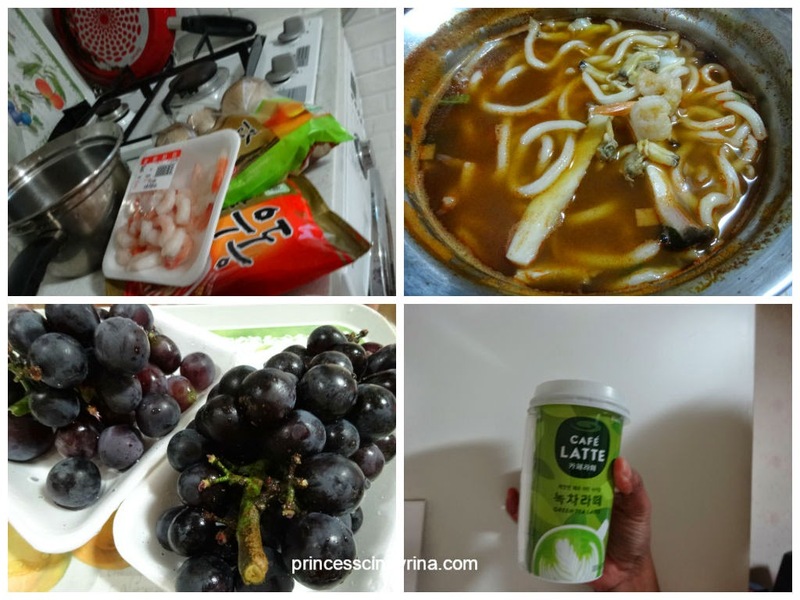 Then enjoy grapes and green tea latte while laughing away to famous Korean Variety show. 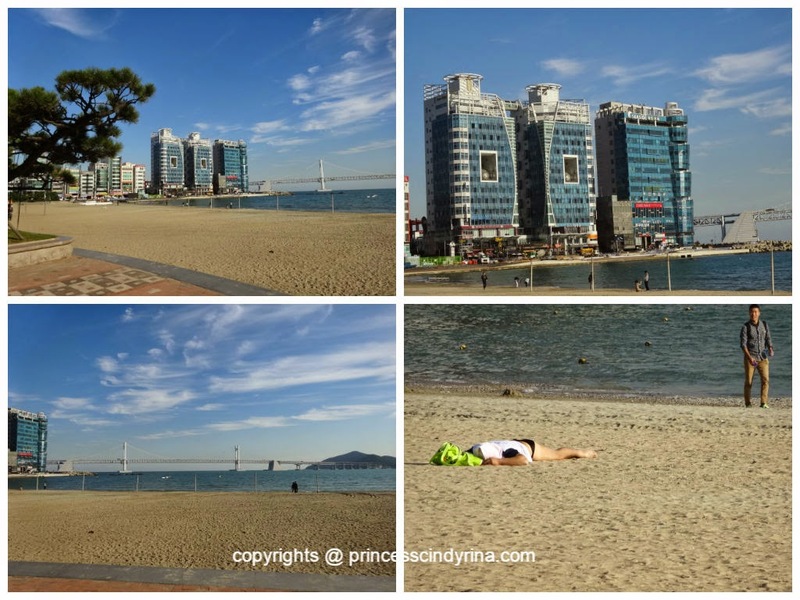 I have another one full day to enjoy in Busan tomorrow before flying back to Malaysia on 19th Oct 2014. Oh, that's nice! You cooked up a great meal and experience. I will follow what you do next round and book myself a studio! Yeah Sharon! I am just trying different experience in travelling. Do you have the contact info for the studio? 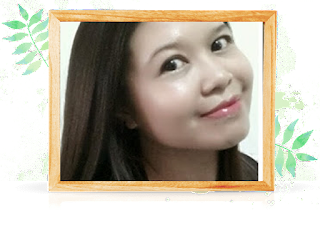 I am travelling to Busan this weekend and would like to see if there is vacancy. Thanks. This place is soooo beautiful!! !